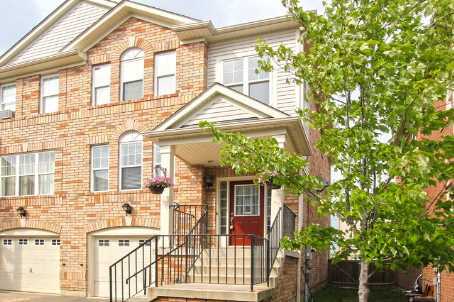 Newly Renovated Mattamy-Built Freehold End Unit Townhome. This Great Family Home Features Lots Of Sun W/ New Paint, Laminate Floors, Baseboards, Light Fixtures, Door Handles, & High-End Stainless Steel Appliances. Large Master W/ W/I Closet & Ensuite Bathroom & A Fantastic Bright Lower Level Rec. Room W/ Walkout To Large Low Maintainence Patio. Lower Level Also Has Lots Of Storage, Laundry & Garage Access.